An ideal candidate for the Eduard multi-media treatment. Intelligent use of photo-etched parts, well cast resin replacements and a superlative decal sheet in perfect register with minimal carrier film. 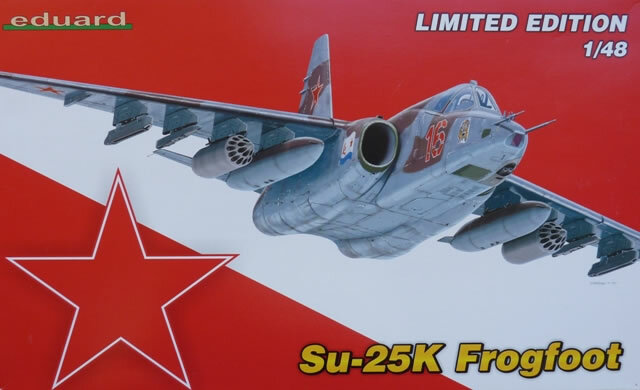 Injection moulded kits of the Su-25 are very thin on the ground. 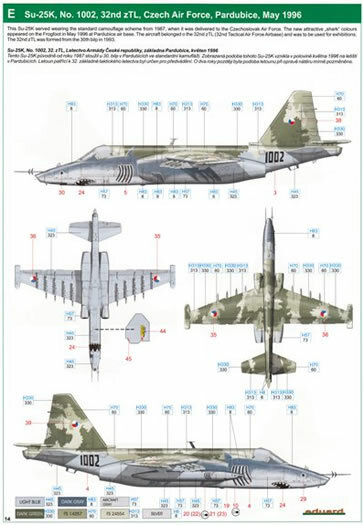 Many moons ago KP gave us an example of a production aircraft and it proved to be very popular. Accuracy was quite good and with a little care, assembly was pretty straight forward. 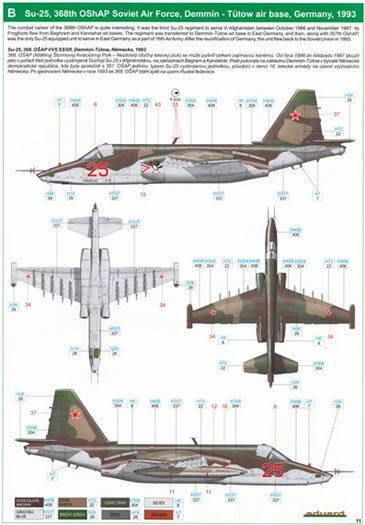 By today’s standards, the kit could do with a bit of extra detailing and this makes it an ideal candidate for Eduard’s upgrade treatment. 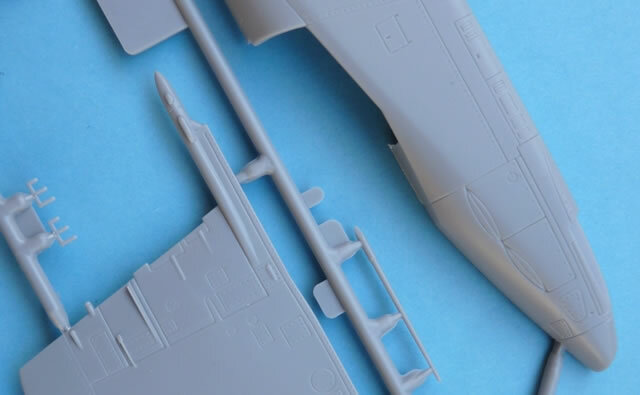 As such we are presented with a multi-media package that will provide a level of finesse that will please most modellers demanding today’s high standards. 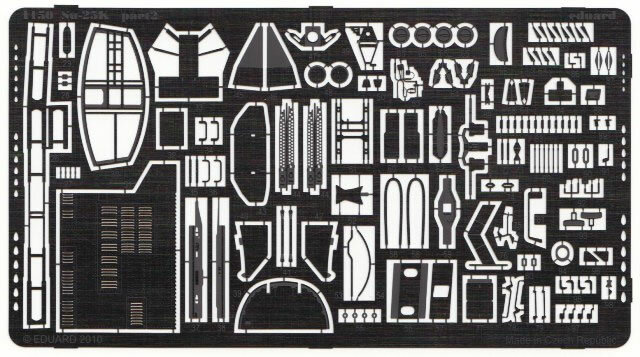 Inside the box we get the original 5 plastic sprues containing a total of 154 parts with a further 9 clear items catering for such things as the canopy, instrument panel etc. 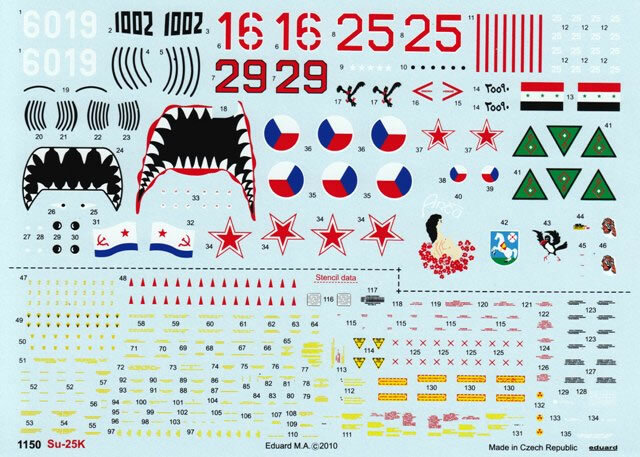 Then there’s Eduard’s contribution which consists of a new decal sheet, 15 pieces of resin, a masking set, acetate sheet, and two frets of photo-etched parts. These metal items come in both standard and coloured forms. 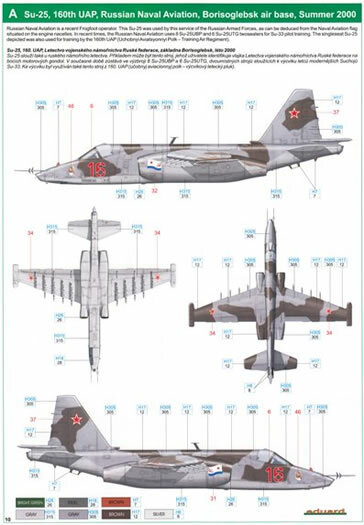 There are well over 100 of the former, with the latter supplying a further 35 parts. 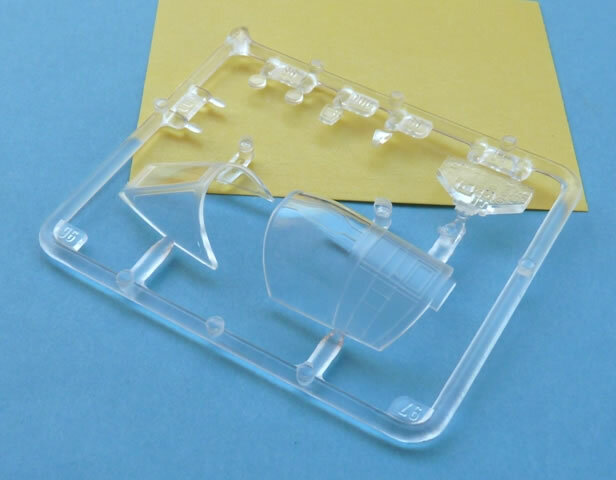 Despite the age of the moulds, the plastic components reveal no blemishes or sink marks anywhere. 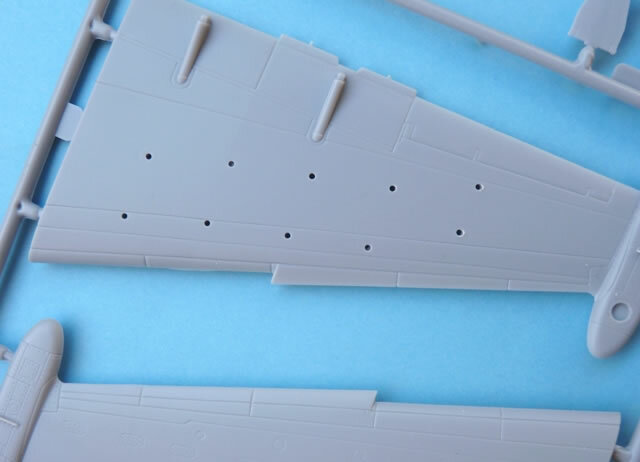 The panel lines are engraved and although they are a little wider than usual, most modellers won’t give them a second thought. The cockpit is one of the main beneficiaries of the extra goodies. 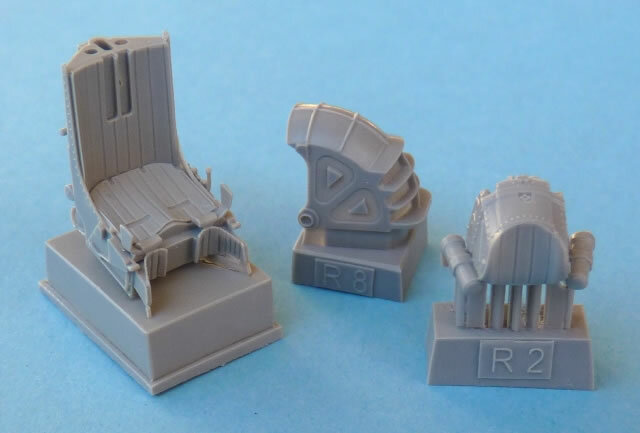 A resin ejector seat, pre-painted instrument faces, and an assortment of other etched metal items really give this area some life. This material is also used for the canopy details, such as its framework, mirrors, and rails. Also included are coloured seatbelts and a healthy assortment of handles and levers. 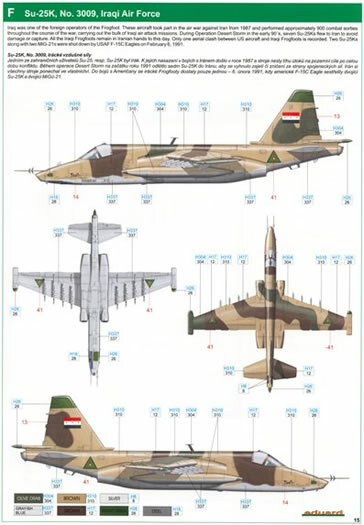 The airframe is not forgotten with much of the exterior also coming in for refinement. 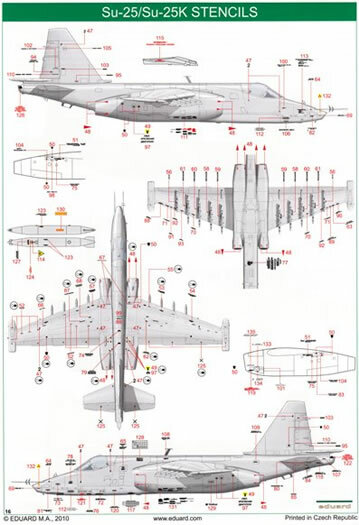 Thus we find additions or replacements in the form of antennas, sensors, hatches, and much much more. 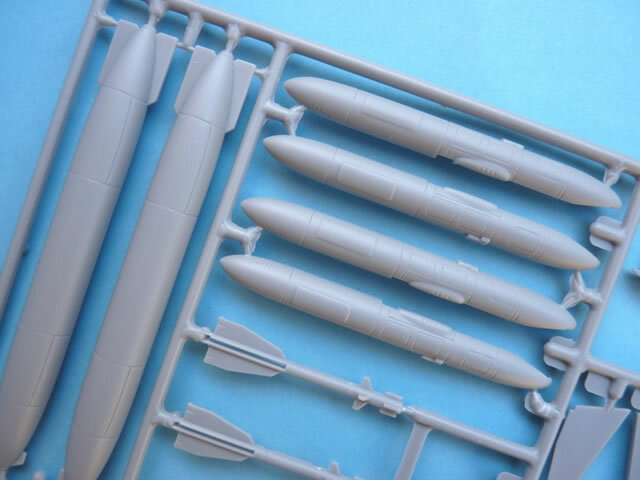 To help in the finishing process, a sheet of masking material is included. This greatly eases the task of painting the wheels, canopy, and other “glassware”. Of course the instruction sheet is all new, and leaves no doubt as to where everything should go. 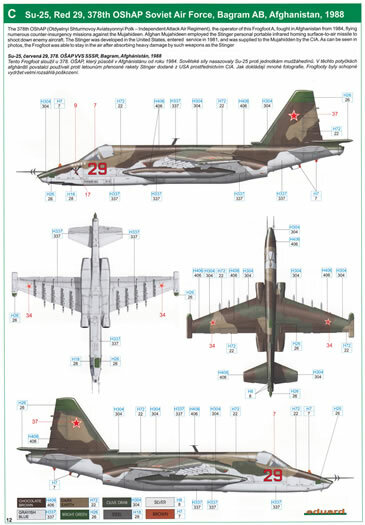 There are schemes for six interesting aircraft as well as a superb array of stencil data. Everything is printed with perfect colour registration and all items are surrounded by a minimum of carrier film. 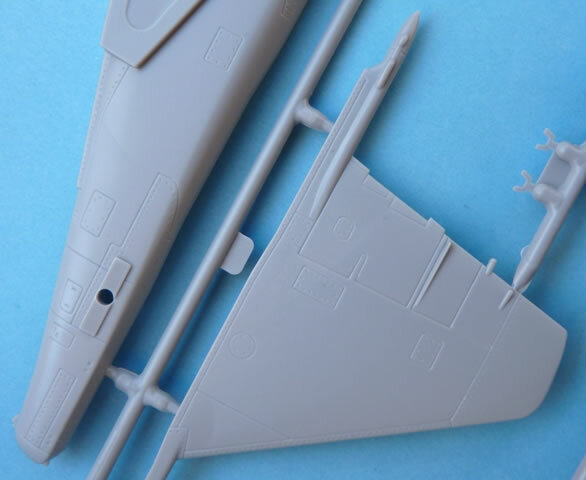 The addition of resin and p-e parts is ideal for this release. Eduard’s BRASSIN line makes a substantial contribution and the quality of parts is second to none. An impressive array of items can be found on the photo-etched frets and these add further embellishment to the original plastic parts. 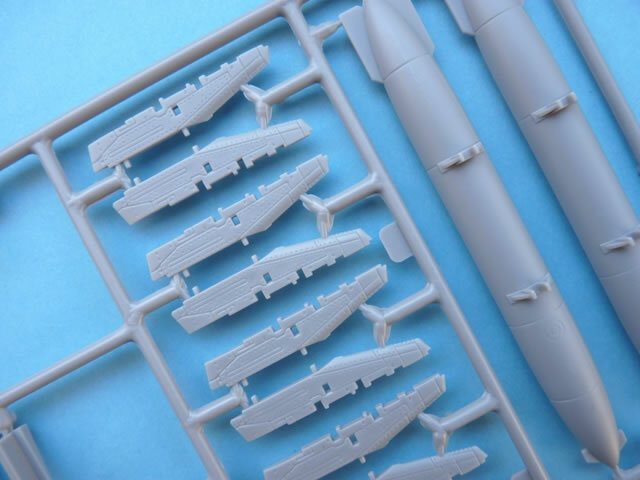 By combing an older kit with state-of-the-art accessories, a result can be reached that brings the subject in line with more detailed modern releases.